Local partnerships for nature operate in all areas of Wales and provide a focus for delivering the Nature Recovery Plan objectives and Sustainable Management of Natural Resources at the local level as well as contributing to many of the Well-being of Future Generations goals. Wales has a strong network of biodiversity coordinators, ecologists and associated countryside staff to assist you with biodiversity and countryside enquiries in your area. Use the links to the left to display contact details for local contacts in Wales. Local Nature Reserves (LNRs) have natural features that are of special interest to their local area and offer people opportunities to study, learn or enjoy nature. Many local authorities have designated LNRs with 95 in Wales offering opportunities for both people and wildlife. 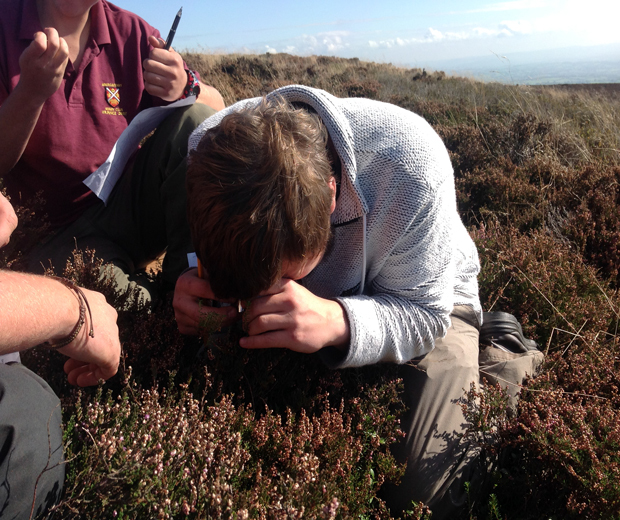 Use the links below to display contact details for local biodiversity officers in Wales. 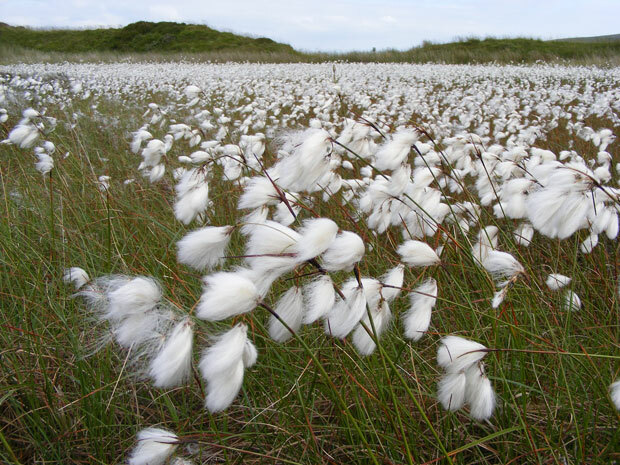 Anglesey has a number of priority habitats including Lowland and Coastal Heath, Reedbeds, Fens, Broadleaved Woodlands, Ancient and Species Rich Hedgerows, Ponds and Flower-rich Road Verges; there are some of the most extensive sand dunes in Wales. We are a stronghold for some rare species, including Great Crested Newt, Red Squirrel, Otter, Water Vole and Chough, for which there are all action plans. The partnership includes Isle of Anglesey County Council, NRW, North Wales Wildlife Trust, NRW, Menter Mon, RSPB, Marine Awareness North Wales, North Wales Police, National Assembly of Wales Agriculture Dept, North West Wales Amphibian and Reptile Group and others; to date, the Forum meets yearly. East Anglesey Hedgerow Survey, Species-rich road-verge cuttings removal and NOF funding for helping safeguard and ancient woodland on LNR site and pond restoration and creation for Crested Newts. Snowdonia National Park is synonymous with extensive areas of windswept uplands and jagged peaks but also has a variety of inspiring natural and semi-natural habitats. Many of these, along with its species, are of international importance and are found nowhere else in the world. A number of projects have come out of Snowdonia’s Local Biodiversity Action Plan (Bioamrywiaeth yn Eryri) addressing species conservation, habitat enhancement and awareness-raising, e.g. a newsletter for volunteers is produced every quarter, species surveys for green woodpecker and water voles have been carried out and several riparian habitat projects have been implemented. Snowdonia National Park also works with and alongside numerous other organisations and individuals to further the conservation of its unique Biodiversity, e.g. 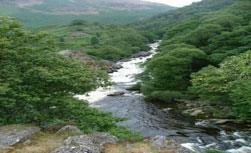 the North West Wales Riparian Mammals Group and Gwynedd Sustainable Angling initiatives. Conwy County Borough exhibits an exceptionally rich variety of habitats ranging from coastal cliffs and beaches to sheltered valleys and open moorland. The nature conservation interest of the area is considerable and contains many important features such as areas of limestone pavement, woodlands, hedgerows, meadows, and pasture, reedbed, heathland, ponds and estuarine habitats. Conwy also supports rare and vulnerable species including some that are found nowhere else in Wales, such as the Belted Beauty, and others that are found nowhere else in the UK, such as Wild Cotoneaster, which exists only on the Great Orme. The Conwy LBAP was published in May 2003 and contains 4 Habitat Action Plans, 11 Species Actions Plans and 1 Topic Action Plan. A further three plans are due to be launched this summer (Terrestrial Reptiles, Black Grouse and Silver Studded Blue Butterfly). In Denbighshire we are lucky to have a range of important habitats on our doorstep – from heather moorlands to coastal sand dunes, woodlands to limestone grasslands – which support an array of species. Key highlights include black grouse, dormice, natterjack toads and sand lizards. Our county flower – limestone woundwort – is found nowhere else in Wales. Denbighshire is part of the North East Wales LBAP Partnership, which brings together biodiversity work in Conwy, Denbighshire, Flintshire and Wrexham. The Partnership unites key organisations including North Wales Wildlife Trust, Clwydian Range Area of Outstanding Natural Beauty, North East Wales Wildlife, Natural Resources Wales as well as local organisations and interested individuals. We meet twice yearly. 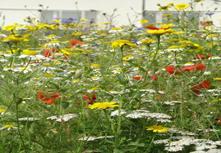 We carry out a range of biodiversity projects with different partners. Some current projects include habitat improvements for water voles on the River Wheeler, juniper restoration on Prestatyn Hillside, Himalayan balsam control and provision of nest boxes for barn owls. Flintshire is a county of contrasts. Sandwiched between the rural counties to the west of the Clwydian range and the more developed areas of Cheshire and Merseyside, land use varies from intensive industrial development through to remote and wild areas. Over the past few decades, the area of Flintshire has undergone significant transformation. The impact of development from agriculture, housing and mineral extraction is significant, yet Flintshire still retains many areas that are of importance for wildlife, within both urban and rural areas. The Flintshire Biodiversity Partnership comprises a steering group that oversees the LBAP process. The Wrexham County Borough includes areas of lowland and upland and the range of habitats and species associated with them. The lowland areas have over 2000 ponds covering in total one square kilometre. These ponds are an important habitat for the protect species such as the great crested newt and the silver diving beetle, an extremely rare invertebrate only recently found in Wales. The County Borough has one of the largest breeding populations of great crested newts. The area includes Wales’s largest lowland bog, which is currently being restored after years of peat extraction for horticultural and gardening purposes. The bog contains many rare creatures and plants such as bog rosemary and water voles. The uplands areas include the Berwyn and Ruabon Mountains with blanket bog and heath and support black grouse. The Wrexham Biodiversity Group meets four times a year and is a partnership of government bodies, groups, charities and individuals. The group implements the Wrexham Local Biodiversity Action Plan, which they produced in 2002. Biodiversity Projects which the group is involved in include River habitat enhancement and otter holt construction, pond surveying and management, moorland bird survey and derelict land grassland survey as well as numerous educational and awareness raising projects. Ceredigion is rich in habitats and wildlife; its biodiversity is an important component of the County's distinctiveness. 'Rhos' pastures (also the habitat of the rare Marsh Fritillary butterfly); estuaries and wetlands of international importance that support wildfowl and waders and oak woodland all contribute to the biodiversity of the County. Ceredigion is also a stronghold for the Red Kite and Chough. The coastline of Cardigan Bay is of importance for sea birds whilst its waters support Bottlenose Dolphin, Harbour Porpoise and Atlantic Grey Seal. Conserving biodiversity is not just about rare or threatened species, it is about all living things. Protecting the variety of life around is increasingly important, not just for the intrinsic worth of plants and animals themselves, but for human needs. Planning for biodiversity in Ceredigion is a continuous process; the CNP will evolve as knowledge increases and through the actions that will be taken to sustain a range of habitats and species in the County. Powys is known for its rural nature and varied and beautiful landscapes; from extensive patchworks of enclosed farmland to the windswept moorlands above the Elan Valley and the rugged Cambrian Mountains. The county is rich in biodiversity with over 200 Sites of Special Scientific Interest. The wide variety of wildlife and habitats include examples of species identified within the UKBAP and as a priority for conservation within Wales, such as the rare pearl-bordered fritillary butterfly, which relies on south facing bracken slopes and ffridd habitat, and the red squirrel which can be found in the vast coniferous forests of north-west Brecknock. The Powys Nature Partnership is a group of organisations and individuals working together to conserve Powys' wildlife for the future. The current partnership includes: Natural Resources Wales, Radnorshire Wildlife Trust, Montgomery Wildlife Trust, Brecknock Wildlife Trust, the Biodiversity Information Service, FWAG Cymru, Severn Rivers Trust, Coed Cymru, the Wye and Usk Foundation and Dŵr Cymru/Welsh Water, plus local experts and county recorders. A review of the Powys Local biodiversity Action Plan (LBAP) was begun in 2016, the result of this will be the Powys Nature Recovery Action Plan (PNRAP.) The PNRAP will be an essential tool for developing projects and actions to be undertaken by conservation stakeholders and the general public to protect and enhance biodiversity and improve habitat connectivity at a landscape scale. The PNRAP comprises a General Action Plan, seven Habitat Action Plans and three Species Action Plans. 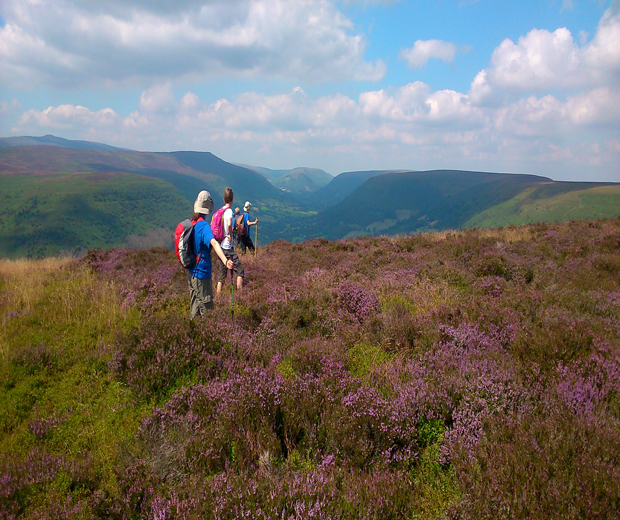 Draft action plans are being finalised following a review of Powys’ locally important species (ongoing) and spatial analysis of habitats to identify areas of key importance for maintaining connected, resilient semi-natural ecosystems. The actions plans will be supported by digital ‘opportunity maps’ to aid identification and targeting of locations for maintaining, enhancing, restoring or creating habitat to provide for wildlife in Powys. The main aim of the PNRAP is to reverse the decline in biodiversity across mid-Wales through the protection and enhancement of Powys’ priority habitats and species. Alongside this work the Partnership aims to communicate the message of the importance of biodiversity for everyone in Powys. What it does for us, why preserving what we already have is important and how re-creating habitats at spatially significant locations can provide maximum benefit, not only for the ecosystem through increased ecosystem resilience; but for ourselves through ecosystem service benefits. The Powys Nature Recovery Action Plan is due to be completed in 2018. Pembrokeshire is justly famous for its magnificent coast, thronged with birds and in the spring, carpeted with wild flowers, quiet estuaries, steep wooded valleys and wide sweeps of heathland in the Preseli Hills. In between, are patchworks of fields and small copses bounded by earth-stone banks that are frequently of great antiquity. The sea and sea bed around the Pembrokeshire coast are rich in species, some of which are of considerable economic importance. Biodiversity is fundamental to the physical, economic and spiritual well-being of all who live and work in Pembrokeshire. Country Landowners Association, Natural Resources Wales, Farmers Union of Wales, Farming and Wildlife Advisory Group, National Farmers Union – Wales, OGAM, Pembrokeshire Coast National Park Authority, Pembrokeshire County Council, Pembrokeshire Rivers Trust, Pembrokeshire Local Action Network for Enterprise and Development (PLANED), The Princes Trust – Wales, Royal Society for the Protection of Birds, South Wales Sea Fisheries Committee, The National Trust, Welsh Assembly Goverment – Agriculture and Rural Affairs Department, Welsh Development Agency, Wildlife Trust of South and West Wales. The Pembrokeshire Nature Partnership provides the framework for local biodiversity action that will contribute to the delivery of national targets for key habitats and species, and the raising of awareness and understanding of the relevance of biodiversity to the people of Pembrokeshire. It covers the area within the County of Pembrokeshire, including the Pembrokeshire Coast National Park , the inshore waters and seabed around the Pembrokeshire coast to 12 miles offshore. To co-ordinate existing, and initiate and co-ordinate new actions to conserve and enhance biodiversity in Pembrokeshire, taking account of local and national priorities. It was published in 2000 and contained 7 Habitat Action Plans and 24 Species Action Plans. More plans are currently being produced and all published plans are available as pdfs from our website. 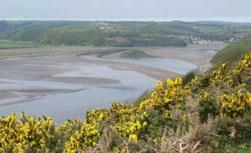 Carmarthenshire is justly renowned for its magnificent coast, quiet estuaries, steep wooded valleys and rugged uplands. Throughout the agricultural land and around the urban areas runs a network of wildlife habitats - hedgerows, woods, wet meadows and watercourses - all rich in species, which greatly influences the character of the landscape and its natural beauty. The biodiversity of the county contributes to the quality of life of the people who live and work in Carmarthenshire, and is a significant element in the local tourism and recreation industries. The sea and seabed around the Carmarthenshire coast are also rich in species, some of which are of considerable economic importance. The Carmarthenshire Local Biodiversity Action Plan has been produced by a partnership of organisations concerned with the conservation of the county's wildlife. The LBAP contains a series of action plans covering the nationally threatened or declining species and habitats in the county, as well as species and habitats of local concern. It includes for example, action plans for lowland meadows, upland oak woods, red squirrel and water vole. Each action plan includes actions aimed at conserving and enhancing that particular habitat or species within the county. If these actions are to succeed, they will require a number of individuals and organisations to work together in partnership - including land owners, government agencies, wildlife conservation groups, local authorities and industry. Carmarthenshire is a stronghold for the marsh fritillary (Euphydryas aurinia) occuring in a wide area of traditionally-managed purple moor-grass (Molinia caerulea) pastures in south-east Carmarthenshire. The biodiversity of the Brecon Beacons National Park is a tremendous natural asset. It helps give the National Park its distinct character, supports farming, forestry, tourism and other businesses; and provides visitors and local people alike with opportunities for spiritual refreshment and healthy exercise. A stunning variety of habitats can be found in our National Park, from the heather moorland of the uplands, to the gravel strewn beds of the River Usk. Many of the Park’s habitats and species are internationally important and the Park is the only place in Britain where you can find a number of rare species. The park supports over 75% of Wales’ limestone pavement habitat and is home to a variety of rare and endemic hawkweed and whitebeam species, found nowhere else. The sheer variety of the Park’s wildlife owes much to its special climate and underlying topography, combined with remoteness and traditional farming practices. The Brecon Beacons National Park is a semi-natural, cultural landscape, moulded by nature but influenced by mankind’s management of the land over thousands of years. The biodiversity that exists in the Brecon Beacons today is the result of these intertwined processes. However, biodiversity is vulnerable, even in the National Park. For this reason the National Park Authority and partners produced Our Natural World – a Local Biodiversity Action Plan for the Brecon Beacons National Park in 2001. The plan and its actions were reviewed in 2006. The Local Biodiversity Action Plan (LBAP) identifies which habitats and species are of particular importance for conservation in the National Park and outlines key actions to be delivered by the LBAP partnership. 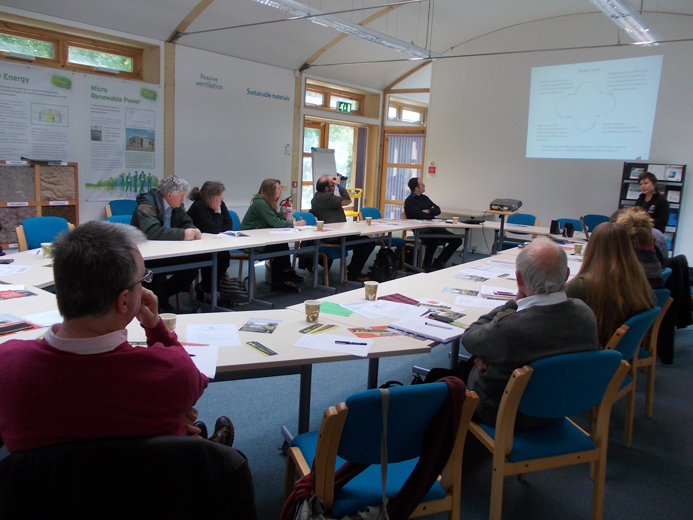 LBAP Core Steering Group members include: Brecon Beacons National Park Authority, Brecknock Wildlife Trust, The National Trust, Welsh Water & CCW (now Natural Resources Wales). 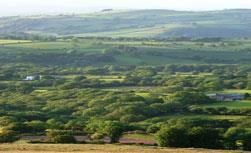 The City and County of Swansea’s natural environment is of outstanding quality and beauty. The diversity of landscapes and habitats which make up over 80% of the County’s total area include upland moorland, coastal cliffs, sandy beaches, heathland, woodland, wetlands, river valleys and estuaries. These habitats together with the many historic parks and gardens, pockets of urban green-space and large areas of farmland make it one of the most attractive and ecologically diverse counties in the UK, with over 50% of the County’s area being of significant ecological interest. This wealth of wildlife habitats supports a huge diversity of species. Nearly 70% of the habitats and at least 20% of species which are identified as being of importance for Biodiversity Conservation in the UK can be found in Swansea, and approximately 17% of the County’s area is protected by designations at a European (SAC, SPA, RAMSAR) or National (SSSI, NNR) level. These designated areas and priority habitats represent only the very best of our biodiversity. They do not, however, encompass all that is irreplaceable and cannot by themselves maintain biodiversity. Even common habitats, urban wildlife sites and green spaces, are important in maintaining a network of semi-natural sites, and the quality and extent of the biodiversity resource as a whole. Collectively, these unique natural qualities make Swansea a special place to live and visit and contribute significantly to quality of life, and the economy of the area. The partnership is an active group with representatives from many organisations and individuals united by an interest in conserving, enhancing, and raising awareness of Swansea’s biodiversity. These include relevant local authority departments, the charitable conservation sector, landowners, and professional and amateur naturalists. In 2014 a new way of prioritising wildlife conservation in NPT was launched. The new Local Biodiversity Action Plan – LBAP – has a commitment to enhance all biodiversity in NPT. The plan contains spreadsheets for individual habitats and species or collections such as pollinators. These show the current status and trends in NPT, known threats and record all projects that contribute to the conservation and enhancement of the habitats and species. All work, however small, is recorded here. This is mapped and compared with other information such as known distribution of a species. These maps show how much work is being done in NPT by all partners; it also allows the Biodiversity Forum to focus resources where most needed. The plan is a fluid document. At each NPT Biodiversity Forum meeting project information is collected. The Biodiversity Team maintain the data and highlight any issues that need to be addressed. The document is not published because it is constantly changing. If you would like any information on a species or habitat please contact the team directly. The Welsh Government has published a list of habitats and species of principal importance in Wales, known as the Section 7 list this forms the basis of the LBAP. Any of these habitats and species found in NPT will be protected and enhanced where possible, particularly through the planning process. Any habitats or species not on this list, but important to NPT, will also be dealt with through the LBAP. 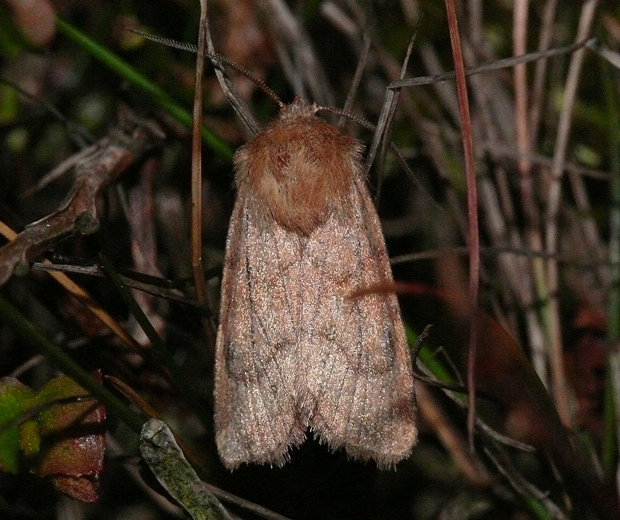 For more information on the species found in NPT please contact the South East Wales Biodiversity Records Centre. The Biodiversity Forum is made up of representatives from a wide range of organisations plus individuals with an interest in local wildlife and land management. It is open to anyone to join and is responsible for the delivery of the LBAP. The Biodiversity Team provide the secretariat and there is an independent chair. The role of the Countryside and Wildlife Team is to give attention to the pressure on biodiversity in Neath Port Talbot. Working closely with other departments, external organisations and volunteers, positive changes have already been made. The Unit provides the secretariat for the Neath Port Talbot Biodiversity Forum. Deptford Pink is a beautiful pink flower and usually grows in open sites such as in pastures, roadsides, field margins and, occasionally, on waste ground. It is becoming increasing rare in Wales and work has been undertaken by the NPT Biodiversity Forum to establish new populations of Deptford Pink at suitable locations in Neath Port Talbot. Bryn Tip is one of 5 Local nature reserves in the county and is the site of the former Bryn Navigation Colliery now restored to natural habitat and home to a number of rare and protected species. These include linnets and skylarks, golden-ringed dragonflies, slow worms, common lizards and dark green fritillary butterflies. Honey buzzards are secretive and rare birds of prey in the UK and we are very privileged to see them here in the county. Wintering in Africa, honey buzzards are rare breeders in the UK. They are well known for their adaptation for eating wasp grubs. They also take amphibians, principally frogs, small mammals and reptiles and can raid the nests of pigeons and thrushes. They can be seen from May through to August. In Neath you are most likely to see them soaring over the Resolven valley. The Merthyr Tydfil Biodiversity Partnership was formed to help implement and meet the targets of the Local Biodiversity Action Plan. The targets for all habitats in this plan are to maintain extent, achieve favourable condition, restore, expand, maintain and increase species in the borough. The partnership is made up of Merthyr Tydfil County Borough Council, and a variety of individuals, community groups, voluntary, government, and non-government organisations. The partnership meets every 3 months, please contact Gill Hampson if you would like to join the partnership or be added to the mailing list. The Merthyr Tydfil area is rich in wildlife- salmon, otters and kingfishers make a home on the River Taff, the woodlands of Taf Fechan have iconic birds such as pied flycatchers and redstarts and Cyfartha Park has a significant population of great crested newts and magnificent parkland to explore. Taken together with the rich industrial and cultural heritage, the Merthyr Tydfil area is well worth a visit. Caerphilly county borough lies in the South Wales Valleys bounded in the south by the county boroughs of Cardiff and Newport, and by Powys and the Brecon Beacons National Park in the north. The habitats of the county borough are varied, including species-rich grasslands (rhos pasture), fragments of ancient woodland, hedgerows, rivers and ponds. Important and/or rare species include greater horseshoe bat and great crested newt, but other species such as the Cornish moneywort and peregrine falcon, are considered to be important locally. 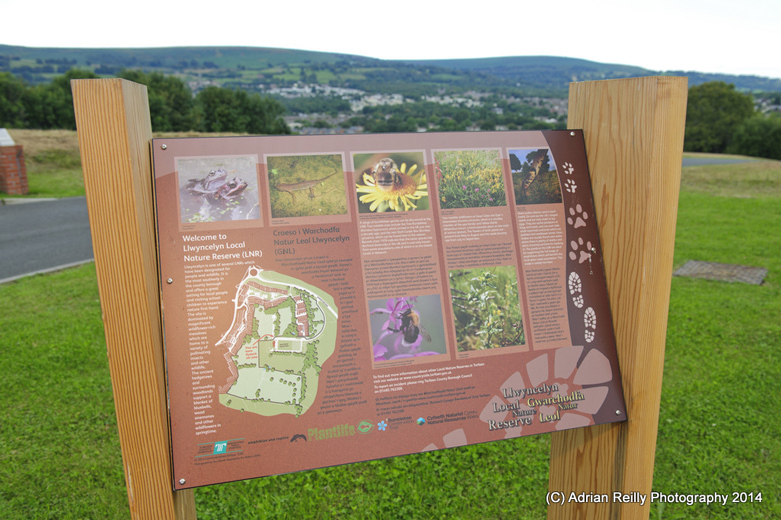 The Caerphilly Biodiversity Partnership comprises over 40 organisations, including Natural Resources Wales, Caerphilly CBC and local wildlife groups, such as the Ruperra Conservation Trust. The partnership meets every 3 months at the Ynys Hywel Centre in the Sirhowy Valley Country Park. Current Local Biodiversity Action Plan projects include a Biodiversity Conservation Programme of practical tasks and survey training, awareness-raising events, in particular 'Go Wild' and the Caerphilly in Bloom wildlife garden category, and surveys for great crested newt, brown hare and a very successful public participation survey of house nesting birds. For a small South Wales valley local authority Torfaen supports a surprisingly diverse range of habitats. From the post industrial landscape of dwarf shrub heath, acid grassland and standing water within the Blaenavon World Heritage Site, to the wooded valley sides of beech and sessile oak, on to the lowland habitats of species rich grassland and ancient woodland that characterise the green infrastructure of Cwmbran new town; Torfaen has a rich natural heritage. Of the wildlife that can be seen, Torfaen has an equally varied flora and fauna. Key features include a regionally important lesser horseshoe bat colony, important wintering wildfowl population of Llandegfedd Reservoir and one of the most southerly breeding red grouse in the UK. Other notable species are bee orchid, lapwing, adder, otter, barn owl, badger, great crested newt, brown-banded carder bee and water ladybird. There are four Sites of Special Scientific Interest (SSSIs) that are complimented by seven Local Nature Reserves (LNRs) and many Sites of Importance for Nature Conservation (SINCs), all of which form a landscape scale connective network of wildlife sites throughout the county borough. The Torfaen Biodiversity Partnership was formed in 1999 to oversee the drafting and implementation of the Local Biodiversity Action Plan. The partnership continues to meet quarterly including an annual field visit to view examples of biodiversity best practice. Bridgend County Borough's mosaic of habitats includes ancient woodlands, unimproved wet grasslands, chalk grassland, river valleys and rocky gorges, coastal sand dunes and saltmarsh. These habitats support an exceptionally varied flora and fauna, including many rare and declining species. The county contains a European designated Special Area of Conservation (Kenfig SAC) and two National Nature Reserves (NNRs), Kenfig on the Glamorgan coast near Porthcawl and nearby Merthyr Mawr NNR which are part of a huge dune system, which once stretched along the coast from the River Ogmore to the Gower peninsula. Kenfig Pool, the largest freshwater lake in south Wales, lies at the heart of the reserve and is particularly valuable as a stopping off point for migrating birds. The Vale of Glamorgan Local Biodiversity Action plan was produced in 2002 in close consultation with the Vale LBAP partnership. The Vale of Glamorgan area is 80% rural and consists of rolling lowlands, which are bounded in the south by the coast that includes a 19km stretch of designated Heritage Coastline. Although predominantly farmland, the Vale supports a very rich biodiversity and diverse range of habitats and species, including some globally and nationally threatened species such as the shore dock, the high brown fritillary butterfly and the great crested newt. The Vale LBAP currently contains action plans for twenty species and twenty habitats, and six additional species action plans are soon to be added. Examples of action for habitats implemented through the LBAP by partners include restoration management at a number of lowland hay meadow sites and large-scale reedbed creation at Cosmeston Lakes Country Park. LBAP action for species has included pond restoration and enhancement works for great crested newts at a number of breeding sites and large scale habitat management to safeguard and expand populations of the high brown fritillary butterfly. The Vale LBAP partnership is a large network including representatives from over 40 local organisations including government and non-government wildlife bodies, voluntary groups, local businesses, as well as farmers, landowners and individuals. A smaller subset of the partnership, the Vale LBAP steering group, meets every two months to steer the LBAP and its implementation. The return of the Chough – after many years of monitoring and habitat work, a pair of Choughs successfully bred in the Vale last year for the first time in over a hundred years. High Brown Fritillary – the Vale is now the last site in Wales for this beautiful butterfly, but thanks to a lot of hard work from volunteers, the Glamorgan Heritage Coast Team and Butterfly Conservation and funding from the Aggregates Levy Fund, the population in the Vale is going from strength to strength. We are now looking to investigate how we can help the High Brown expand from its current site to others across the Vale. 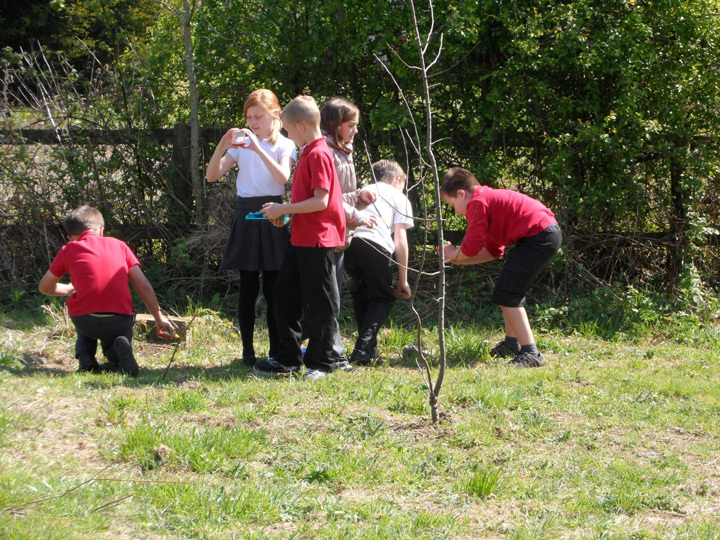 Vale Biodiversity Award – running for the third time this year, the Vale Biodiversity Award recognises practical projects that promote biodiversity by creating, improving or managing sites for wildlife. 6 Local Nature Reserves (LNRs). Other sites are non-statutory because they are regulated by policy rather than legislation. In Cardiff these are known as Sites of Importance for Nature Conservation (SINCs) and details are available on our website. Some of the more notable protected species in Cardiff include the Otter (Lutra lutra) which is present on all three main rivers right throughout Cardiff, 10 species of bat, some of which are present throughout the City, some populations of Great Crested Newt (Triturus cristatus), and an extensive Dormouse (Muscardinus avellanarius) population, mostly to the north and east of the City. Many people consider Newport to be an urban authority, with it’s industrial heritage, docks and heavily populated centre. However, 75% of the authority is in fact countryside, and both the countryside and urban parts of Newport provide a wealth of habitats for a whole range of important species. Take the River Usk for example, snaking through the heart of the authority. This river is internationally important for certain fish species, such as the river lamprey, twite shad, and bullhead, as well as the elusive otter. 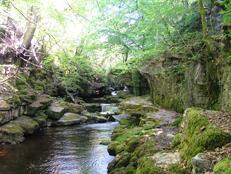 As a result, it is a special area of conservation (SAC) as well as a site of special scientific interest (SSSI). As the River Usk opens out into the Severn Estuary, it becomes important for wading birds, and as a result receives global recognition as a RAMSAR site and also a Special Protection Area (SPA). However, it’s not just the rivers which are important in Newport. Stretching the length of the coast is the Gwent Levels, another SSSI, important for the reens and ditches which criss-cross it, but also for the wildflower rich meadows and marshy grassland which support a rare bumblebee – the Shrill Carder Bee. Travel further inland and the brownfield sites around the city centre and docklands are home to unusual invertebrate and plant species, with one of our flagship species, the Small Ranunculus moth, utilising a plant called Prickly Lettuce which is found on disturbed ground. Further inland still, and some ancient woodlands are known to support populations of dormice, whilst semi-improved and unimproved grasslands in the county provide a wildflower rich haven for many pollinators. Newport also hosts a range of bat species right across the county, and slow worms, grass snake, great crested newt and common toads are found in some areas too. 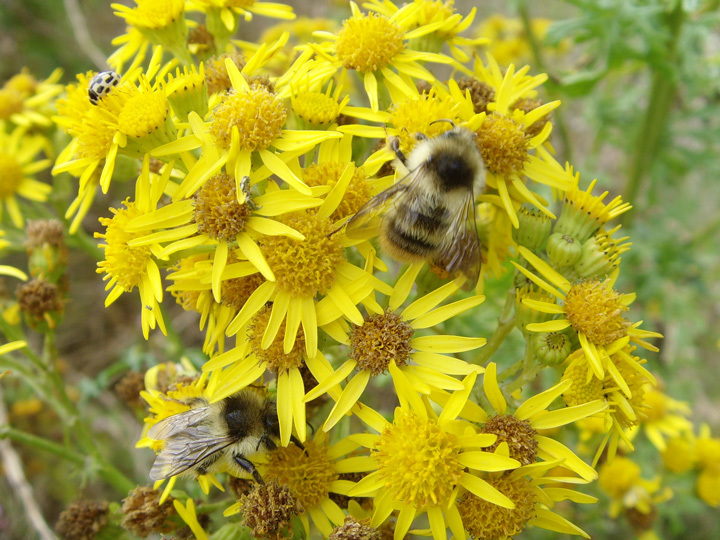 Newport City Council’s biodiversity department also coordinates the Newport Biodiversity Partnership, and manages the Local Biodiversity Action Plan (LBAP). 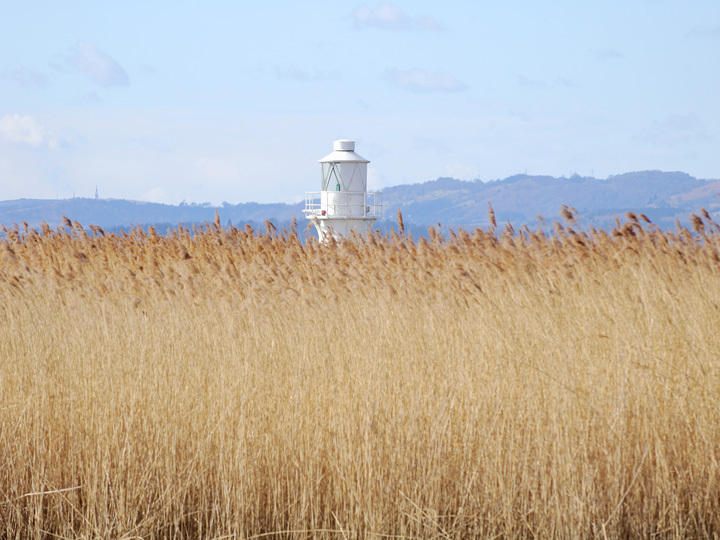 The LBAP highlights the habitats and species of importance in Newport, and focusses our work on protecting and enhancing the biodiversity of the county. The Biodiversity Partnership is a group of people who represent organisations interested in conserving and enhancing Newport’s biodiversity, and they comment on, amend and deliver the LBAP.